Certificates drawn up for filing in New York under the Business Corporation Law (BCL), the Not-For-Profit Corporation Law (NPCL), the Limited Liability Company Law (LLCL) and the Revised Limited Partnership Act (RLPA) are not, as in some states, automatically given the date presented as the filing date. Instead, they receive the date the document is actually reviewed and, if acceptable, entered into the computer record. As a general rule, New York state does not allow for effective dates in filings, however, there are some exceptions. Filings made under the above section(s) may contain an effective date of not more than thirty days from the date of filing. Certificates of Merger under Section 907 of the Business Corporation Law may have an effective date of not more than ninety days from the date of filing. Certificates of Incorporation, Articles of Organization and Certificates of Limited Partnership may have a de facto effective date but the use of the term “effective date” is not allowed as these words are not specific to any of the relevant statutes. The acceptable wording would be “The existence of the corporation (or limited liability company, or limited partnership) shall begin on...” Such date may not be more than ninety days from the date of filing for a corporation and not more than sixty days from the date of filing for a limited liability company and limited partnership. The above option also applies to conversions filed under Section 1006 LLCL and adoptions filed under Section 121-1202 RLPA. 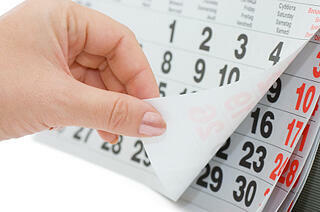 The count of the days between the filing date and effective date are calendar days, not business days. An effective date can fall on a weekend or holiday, so an effective date of January 1st is an option. Under the Not-For-Profit Corporation Law, the corporate existence can begin only upon the date of filing of the Certificate of Incorporation. Orchestrating merger filings in New York and several other states with the goal to have all effective on the same date can be a daunting task. Prior knowledge of the available options in New York can help ensure a successful outcome.